Walt Disney (both the man and the corporation) is known for creating many new technical innovations. In fact, according to the Walt Disney Imagineering web site, Disney owns more than 100 patents for everything from attraction ride systems to audio systems. The Walt Disney Company is seen as an innovator – and an organization that can turn the ordinary into the extraordinary in everything from drawings to theme parks. But one of the areas where Disney has truly changed the world’s entertainment landscape is with animatronics. Walt himself was personally fascinated by the idea. Legend says that he found a small mechanical bird in a cage during a trip, perhaps to France or New Orleans. While most people saw a small and simple toy, Walt saw the possibilities to change how entertainment is delivered. He asked some of his employees to see what they could do with the concept. 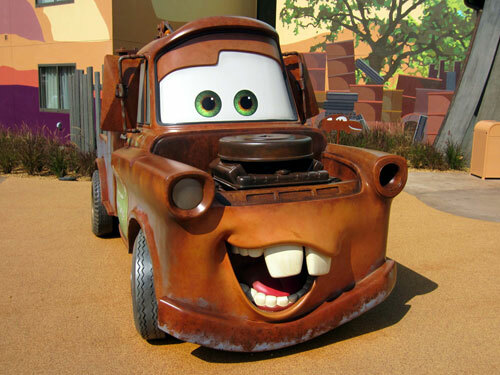 Animatronics allow Disney to tell stories in a consistently repeatable way. 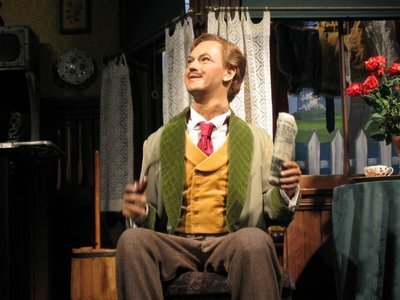 Two of Walt’s employees, Roger Broggie and Wathel Rogers, came up with one of the Disney Company’s earliest animatronics efforts called “Dancing Man.” Using mechanical levers, the contraption made a small model of a man dance. It was an amazing breakthrough, but Walt was looking for full size humans, not tiny miniatures that were overshadowed by huge mechanics like Dancing Man. But from those small beginning amazing things evolved. Disney’s next advance in animatronics was to build life sized animals for the Jungle Cruise attraction at Disneyland. This classic attraction from the 1950s used liquid filled hydraulics to produce simple movements of animals – like an elephant waving his trunk. A great step in the right direction, and models that worked in the real world – but still not quite reaching the ultimate goal of mimicking lifelike movement. Taking the lessons from the Jungle Cruise, Broggie and Rogers were again tasked with breaking new ground. This time, they didn’t fill a river with animals – they filled a room with singing birds, flowers, and totem poles with the Enchanted Tiki Room. Audiences were amazed at the combination of movement and music. Disney used a different technology for the Tiki Room – pneumatics, or mechanisms controlled by gas. 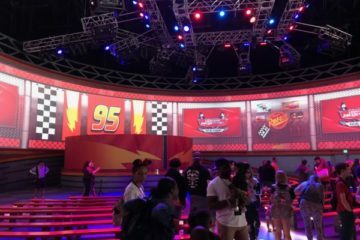 Sometimes the liquid filled hydraulics in other audio animatronic systems leak – and Disney didn’t want fluids leaking onto guests below when the systems failed –as they occasionally do. While pneumatics had some advantages for figures suspended over an audience’s head, there were limitations. This type of pneumatic system isn’t powerful enough to move larger objects, like human limbs. So, the Tiki Room was just another step on the way to Walt’s true goal – a mechanical human. Walt was tasked with creating many of the attractions at the 1964 World’s Fair. And this work lead to great things we can still see and enjoy today. In addition to pavilions for Ford and General Electric, Walt created “it’s a small world” for Pepsi with little animated dolls. But one of the hits of the Fair was the Illinois pavilion with the stunning show “Great Moments With Mr. Lincoln.” In this show, perhaps 20 or so years after his first fascination with the little mechanical bird, Disney achieved a dream – creating a life sized human animatronic. Disney Legend and sculptor Blaine Gibson created the mask for the animatronic using a copy of a life mask of Lincoln. It was a hit, so much so that the Lincoln figure was moved to Disneyland. Pirates Of The Caribbean was the last attraction that Walt personally helped design. It took all the lessons from Mr. Lincoln’s animatronic and took it to a new level. Instead of a single human figure, Disney’s Imagineers needed to build 75 human figures along with 53 animatronic animals. In 1989 Disney opened The Great Movie Ride at Disney’s Hollywood Studios, which was called the Disney MGM Studios at the time. That attraction included figures made from a new set of technology known as A-100. Additional miniaturization and technology allowed for extra control – for example, movement of individual fingers instead of simple movements of the entire hand. This same technology was used in an update to the Pirates Of The Caribbean where a new Jack Sparrow audio animatronic figure was added in 2006 – bringing the franchise from theme park attraction to movie screen and back to theme park attraction. Disney is working hard to keep their theme parks relevant, and to many people that means that they need to be more interactive. 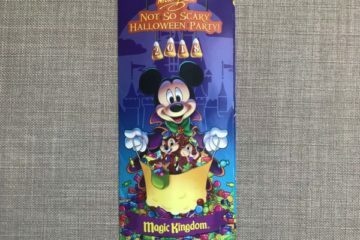 This is happening in many ways, from games in the queues of popular attractions such as Soarin‘ and Space Mountain to interactive features for little ones in the Many Adventures Of Winnie The Pooh. All this interest in interactive features continues on with animatronics as well. One way to see this is in the Muppet Mobile Lab. Part of Disney’s Living Character initiative, the Mobile Lab is a remote controlled, moving animatronic that features two famous Muppet characters – Dr. Bunsen Honeydew together with his trusty assistant Beaker. The Labs includes the use of some wonderful technology that includes eight different cameras. It also has 53 different pre-programmed comedy routines. A technician can control the characters and the entire show remotely from a control room located miles away. The technician can see and – amazingly – interact with guests. 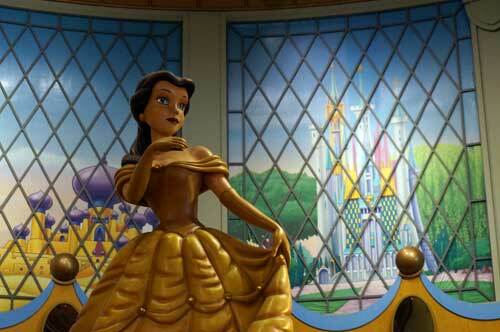 Disney has a registered trademark for a new class of animatronic figures that takes the concept to a new level. That term is hard to say but very telling: Autonomatronics™. This is a promising technology that melds together audio-animatronics and the living character initiative. While all the original figures ran a pre-scripted show that could not vary, Autonomatronics use cameras and sensors to make independent decisions on how to act. 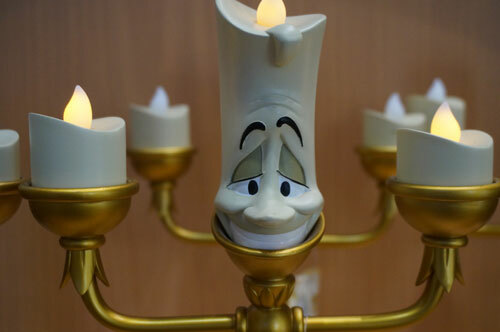 The Disney Parks blog describes the first character in this new line of entertainment – a humanoid-looking character called Otto. Otto is able to determine how many people are in a room and can tell if they are smiling. He can react and hold a conversation. The Walt Disney Company is an organization that is constantly improving. We can all look forward to the great advancements in animatronics as Disney continues to improve on the technology and create breakthroughs. 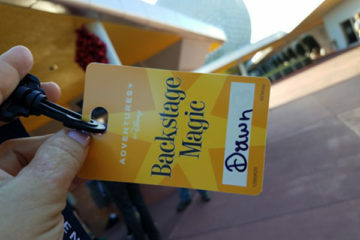 My Backstage Magic Tour Experience – With Backstage Photos!